Who Doesn’t Love an Open House? Decorative Concrete Showroom Opens in Boston Marketplace Serving the New England Market. 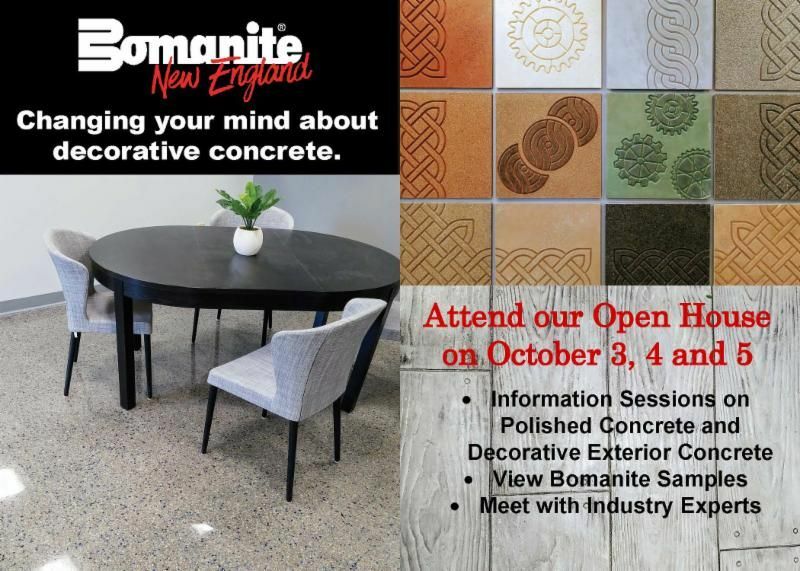 The Bomanite New England Open House will feature informative sessions on polished concrete and other types of decorative concrete. You can register for a specific session or visit during the general hours. Space is limited, so please select a date and time that is convenient for you. We look forward to meeting you and introducing you to the Bomanite New England line of decorative concrete products.